Regtech is a relatively new industry and is moving at a faster pace than regulation itself. 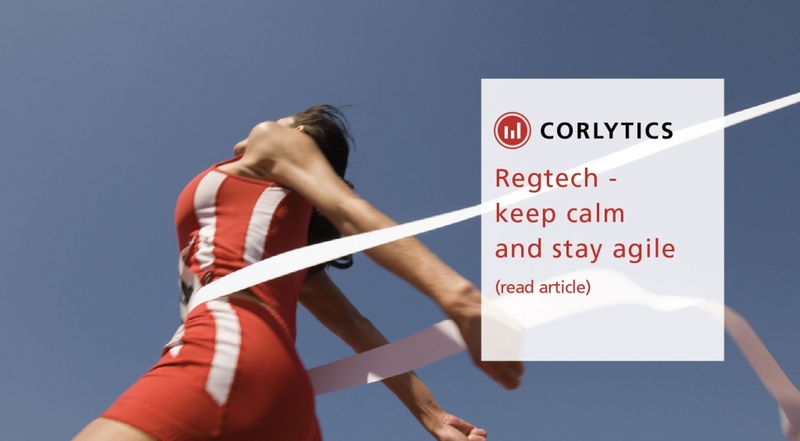 Corlytics strives to lead in the regulatory risk and regtech space, both in terms of thought leadership and in delivering results. One of our core company values is to be agile. All our teams – from product and software development, to legal and scientific teams – use an agile methodology to deliver consistently successful results. This tried and tested delivery method allows us to provide a quick turnaround for our clients, whilst allowing a high level of collaboration throughout the process. To remain at the forefront of regtech, we are constantly looking for new ways to add value for our clients. To do this, we package our data, talent, analysis, intelligence and delivery methods in a way to give us a unique value proposition. Delivery is key. As head of delivery, my role is to ensure successful client delivery across all areas of the business. At Corlytics, we put our clients’ needs first and adapt our delivery method to meet and exceed their expectations. We are constantly reviewing the way we work and how we deliver to our clients, avoiding the well-trodden but often unchallenged approach. It is better to have a good team who communicate and collaborate well, rather than a team of experts each operating in isolation. Communication is a fundamental concept. To ensure a fast and effective delivery method, every project we work on involves a cross functional team. We look at our skills and talent and identify the best mix of skills to deliver for that specific client. We have an amazing skillset in our team, but if we are not constantly looking outward to the market and consumer, we will not be able to move forward at the pace and scale we need to. Understanding the challenges our clients are facing is central to how we deliver. We work closely with our clients to help them identify a solution which suits their needs. This allows them to continue with their core business while we work to provide the insight and intelligence that they need. Agile software development and delivery methods are focused on quick responses to change and continuous development. Requirements cannot be fully collected at the beginning of the client engagement, so it is better to directly involve the customer and their end-users so that detailed requirements can be progressively elaborated and adapted based on feedback. We deliver quickly, frequently and allow the opportunity to refine the solution to ensure we can add the most business value. As a case in point, we recently partnered with the Financial Conduct Authority (FCA) to help develop its interactive handbook. Using both artificial and human intelligence to interpret and tag the FCA Handbook. The end goal was to make the handbook easier to navigate and find the part of the regulation that applies to the user. The rules and regulations within the handbook are complex in nature, but part of our job is to make them accessible and empower end users with the knowledge they need. We are working closely with the FCA on this journey to focus on the end user of the handbook and ultimately make accessing and understanding relevant regulations easier. We embraced our agile delivery methods with the FCA and the regularity and predictability of our delivery contributed hugely to the success of this project.